I have been on the hunt for a gold watch for the longest time. 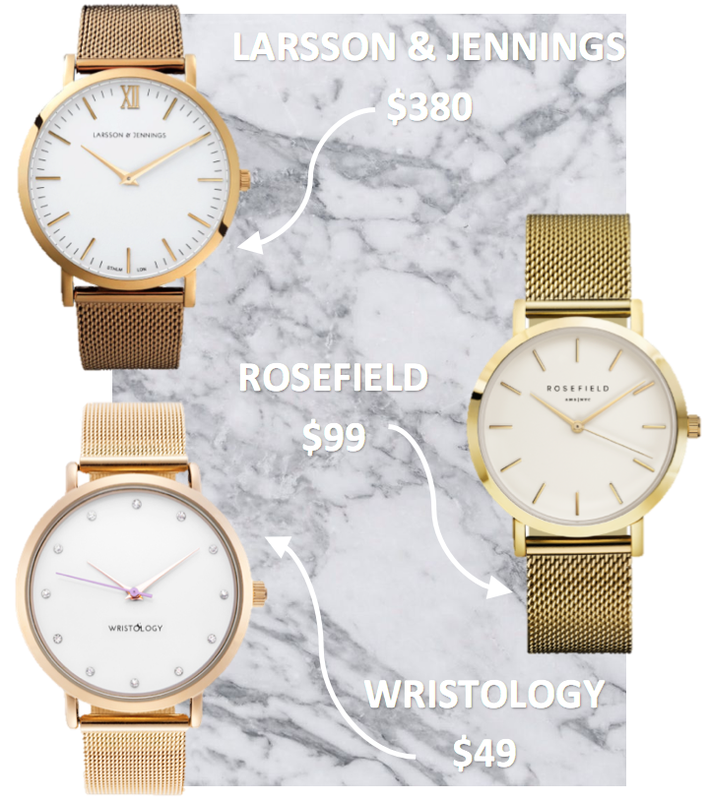 Last year, I stubbled across Larsson & Jennings watches and I fell in love with the minimalistic aesthetic but not the price. Since then, I have been looking for similar watches. Even though, I have found brands that are quite similar, I still long for a Larsson & Jennings watch. As a college student, I tend to put reasonable prices before style. I can not justify spending over $300 on one fashion item. Hopefully when I start making the big bucks, I can afford that lifestyle. Until then, I'll keep looking out for sales and a good bargain! ← Pervious post, showing how I style my watch.